The exercises and diet plan I personally use to build my booty and maintain my body! Over 90 different videos of me showing you how to perform the exercises. Fresh gym and home workouts every week including cardio to keep you interested and motivated. Workouts are suited to all levels so why don't you give it a try. 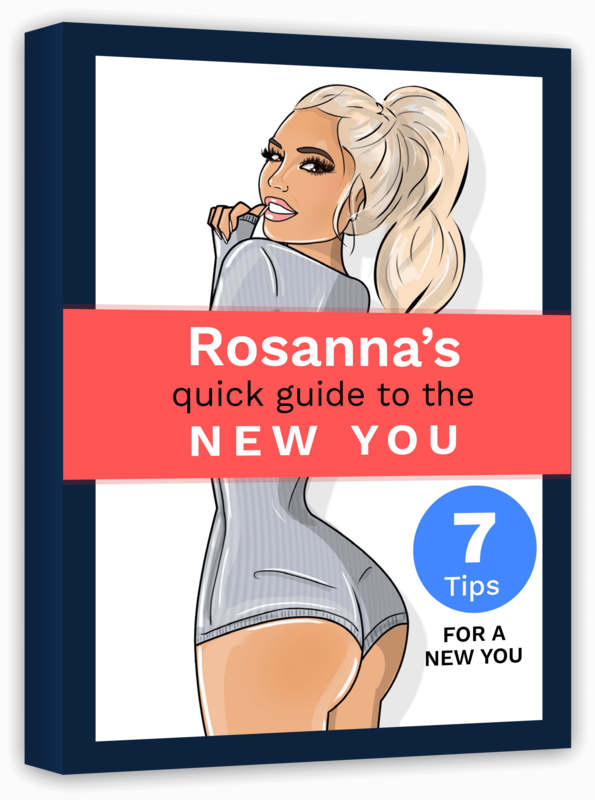 Sign up now for Rosanna's free eBook! Hello, and welcome to my new website... It's the result of requests from many of my followers about how I stay in shape and achieve my booty. A little bit about me. I was born in Australia but was raised in rural New Zealand. Growing up in the country was so much fun, I really miss it and always look forward to my trips home to see my family. My modelling career started while I was still at high school and it wasn't too long until I decided that it was the career for me. As soon as I finished school I moved back to Australia, to the sun and beaches of the Gold Coast. In life my basic philosophy is to live a healthy, active and positive lifestyle as much of the time as possible. Sure you fall off the wagon from time to time but that's ok. Through my modelling I have worked out what works for me to stay healthy and look good and this is what I am passing onto you with my new program. Enjoy it and keep a healthy and positive attitude and you will get to where you want to be.